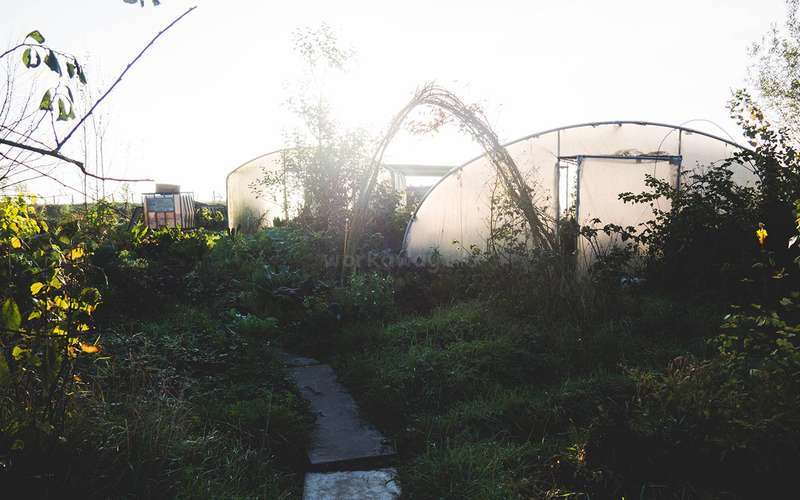 This is a place where you have the opportunity to try new things, experiment, and learn about living in a more simple, sustainable and self-sufficient way. Therefore you can learn a lot here, about all sorts of things: from what it takes to grow your own food to preserving the harvest, and from making natural paint with cheese to building rocket stoves. But it's important that you yourself take initiatives to learn things. See it as a library, where you go to study; not a school, where you go to be taught. It is a place where you have the opportunity to try new things, experiment, and learn about living in a more sustainable and self-sufficient way. 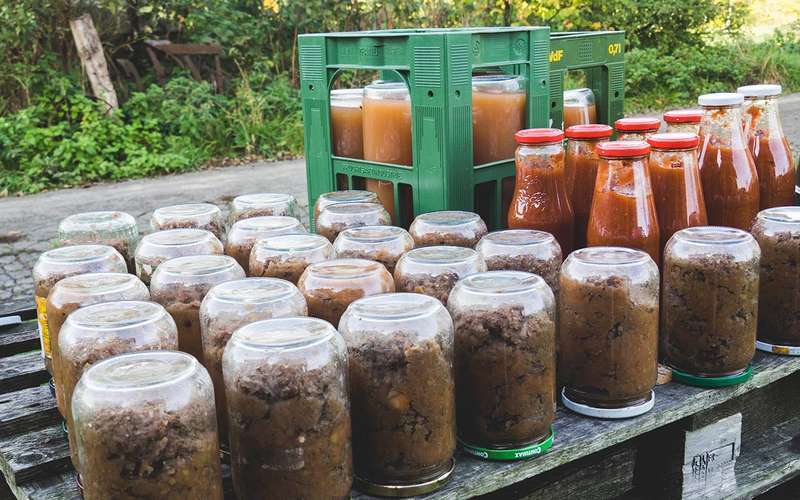 Therefore you can learn a lot here, about all sorts of things: from what it takes to grow your own food to preserving the harvest, and from making natural paint with cheese to building rocket stoves. But it's important that you yourself take initiatives to learn things. See it as a library, where you go to study; not a school, where you go to be taught. A big part of the general day to day work consists of gardening (planting, weeding, scything, harvesting, mulching and caring for plants), and other jobs that are part of this way of life, such as managing the firewood. 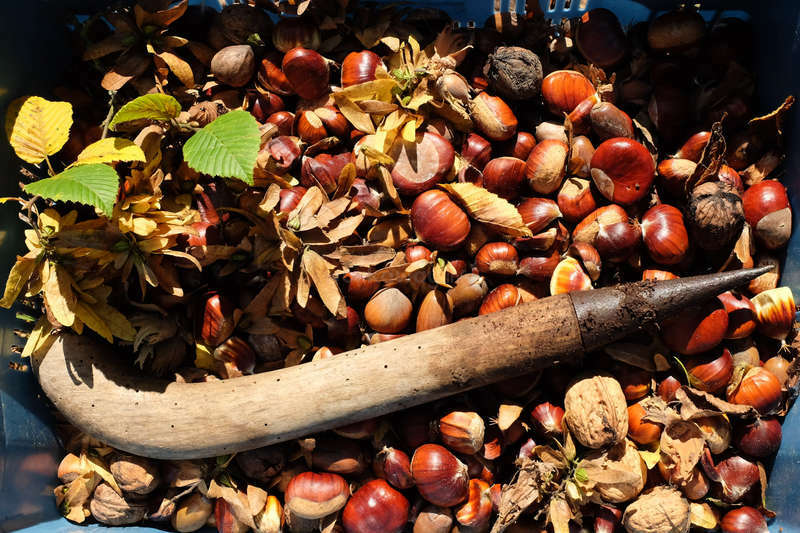 During autumn/winter time the work mainly consists in forest work (collecting wood and chopping it, planting trees, ...),getting the garden ready for the Spring, spending time with the kids, digging a trench in the field and maintaining the place (cooking, compost toilets, ...). There is no hot shower.There is a curtain in the kitchen to create a little private space where you can wash with a bucket of water. And there’s an outdoor shower with cold water. Hadas stayed with us for 1 week and a half. Unfortunately she got sick and didn't get to enjoy the place as much as she could have but she was very well able to adapt to the situation and she made the best of it. After having worked outdoors for a couple of days planting trees etc. she made us delicious vegan pancakes and spreads with local… read more ingredients. She was very good with the kids who live here and we loved sharing with her about Israeli politics and her experience as a "rebel". Hadas is amazingly mature for her age, independent and willing to engage with new people and new places. I had a wonderful 1 and a half week stay! It was a really interesting experience, I loved the atmosphere and the friendly volunteers, it is a very open and considerate environment. The work I did was quite varied, from planting trees to making walnut spreads for the delicious bread. There is a lot of room for initiatives and creativity in this… read more place. The surrounding is beautiful and remote, but it is not very difficult to reach (2 buses and less than an hour and a half away from Brussels) I also very much enjoyed the company of the two children Nisha and Rumi. I also have good memories of talking about religion and politics with Cairan. Special thanks to Hélène for being so kind and welcoming, I learned a lot and hope to see you all again! Felipe and his girfriend Dhara were with us for just over 2 weeks and we loved having them. Felipe did a lot of work on the farm. Our kids loved him and still miss him. We also enjoyed sharing with him and Dhara about life and all the big questions. They were so great to be around, very respectful of the place and good workers! My girlfriend Dhara and me were a bit more than two weeks here. If you are interested and ask the people, you can learn a lot there! We had wonderful conversations with Hélène and Cairan, the longterm volunteer couple living there, they received us gently and showed us the place. They have two little children: Nisha and Rumi. 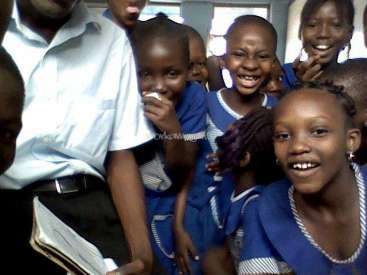 I had fun and… read more learned a lot by playing with the kids! They are interested and play really nice when you involve them in the things you do. And they also respect your privacy when you want. Ine is open to explain everything about the project if you ask her, we also went in her Workshop of natural painting in the city nearby. She also showed me how to spin wool that came from their sheep. And she showed us how to work with leather. We planted with Dirk 150 trees, it felt amazing! Dirk was also open to answer our questions about trees and the propriety. I also learned how to make a nice sauer dough bread with Magali, the man responsible for the bakery. If you want, he encourages you to develop your baking skills. The other jobs I did were chopping wood and pulling the endless brambles from the forest. We also helped with the Pizza party, that was really tasty and funny. Thank you for showing us the beauty of a simple life! Lots of love for all of you! No matter who you are, I want you to try this place out. Love the gym and need to work on your deadlift? There are brambles in the forest that need to be pulled out. Those needing more than 1500N to pull out I left for you ;) Want to cook for larger groups? They are very welcoming to let you try. Want to learn baking? 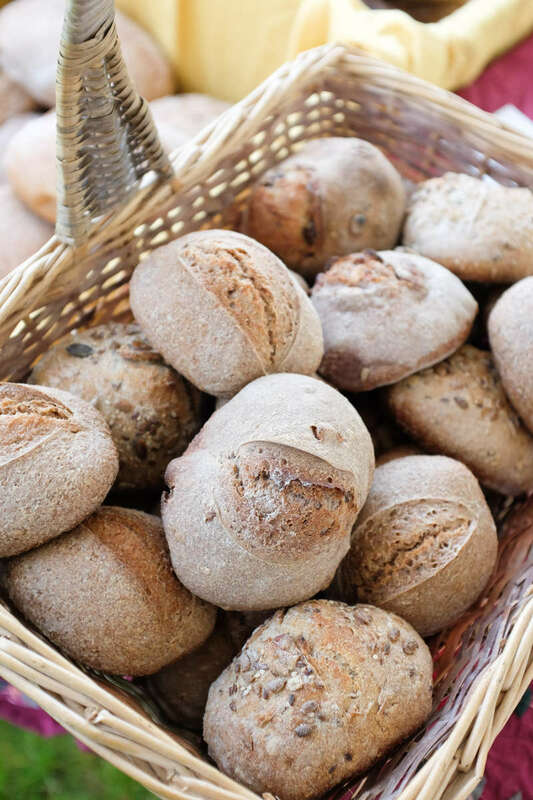 This… read more is the best place to see how real sourdough should be prepared! Animal lover? The dogs and one of the cats are really sweet. Like kids? You will have a great time. And you might even have the pleasure of being there on a movie night with the kids and Ine. Combine all this with a fantastic family of volunteers, both those who stay only for a while and long-terms who have stayed several years, and a wonderful hosting family. This is a great place to be at! But before storming this place, be warned. Heat and hygiene are not that readily availible as in your city home. I'm not sure you will share my enthusiasm about this place if you can't live without a hot shower. Leo spent 2 weeks with us in November and we really enjoyed his presence on the farm. He got used to the place very quickly and did a lot of work. We loved his bread and the kids also loved spending time with him. Thank you Leo! Solange spent 2 weeks with us in October/November and we enjoyed her presence! She shared with us her passion for arts (poppets making) and she took on all the small jobs that had to be done on the farm. The kids here also really liked her. Dhara and her boyfriend Felipe stayed with us for a bit more than 2 weeks and we loved having them so much. They are beautiful people, they were very nice to be around, very respectful of the place and the people here. They did a lot of work here, they made great meals and Dhara great deserts/cookies :-). Our kids also loved playing and spending… read more time with them. We all miss them! Our time here was very good! 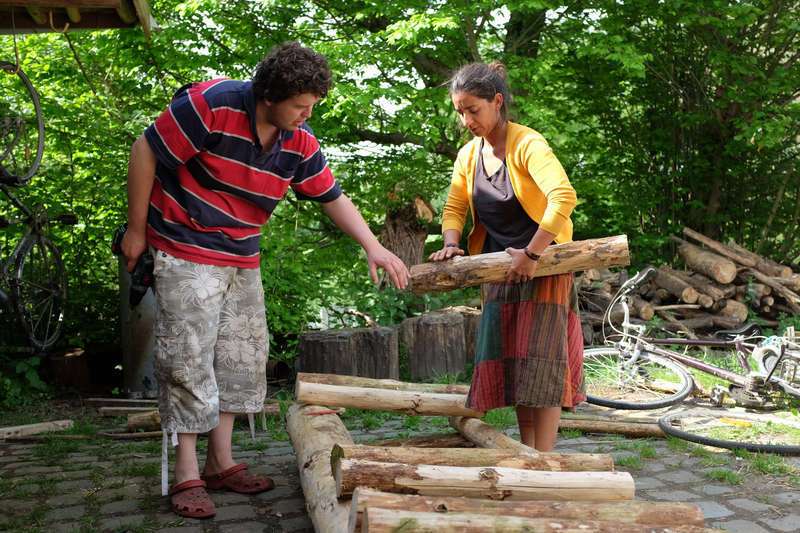 Ine and Dirk have developed a wonderful property that holds true to their beliefs in self-sufficiency and low fossil fuel use. The work we did was varied and interesting. The work was open for self-direction just like it says in their profile, but perhaps moreso during our two-week stay than expected. There was a… read more transition period happening with some long-term volunteers and their projects. We got to see a "pizzeria" night with the community. We unfortunately just missed the Repair Cafe. The internet wifi was good - although we don't come to use the wifi - other volunteers used it a lot, so though no fault of the hosts, the non-working time lacked camaraderie. The animals and gardens were healthy and beautiful to work with and care for! The food was wholesome and delicious, but not varied. This is sensible and in-line with the farm philosophy of using what is available. Be prepared to expect a lot of bread from the bakery and vegetables fresh and stored. Even though our skills weren't a perfect fit, we were happy to visit and contribute for the short 2 weeks and would recommend others to volunteer too! I really enjoyed my two weeks here. Ine and Dirk are very kind and supportive and the other volunteers were great. I would gladly recommend this place to anybody who is interested in gardens or animals or delicious bread. I hope I get to come back at some point and volunteer during a warmer season! I've stayed with Ine and Dirk for one month, and I really enjoyed it! The work was heavy, but I liked being busy for a good cause. The food was delicious and things were nicely organized. The place was filled with wonderful, welcoming people. We had a lot of fun and it felt like family. I really enjoyed seeing how you don't need much. It felt like a reminder to me, because even though our society is really consuming, I realised we do not need much to live happy. I really recommend this place, but only if you are able to live without a hot shower! This is a very interesting place full of possibilities (see below), BUT we had difficulties coping with the hygienic circumstances. Since this issue is not mentioned in other reviews and we know of other volunteers struggling with it as well, we devote some lines to it before we list the positive sites. As cleaning is not one of the working tasks,… read more its execution merely depends on the (absence of) initiative of the volunteers present (at our time of arrival it seemed like months ago since kitchen, living room and compost toilets were cleaned). Also, the hosts expect you to let your plates and cooking pots being licked ´clean´ by their dogs in order to remove fat. We tried to avoid this for reasons of hygiene and possible parasite transfer but got the message that in order to stay longer or come back this custom must be adopted. We regretted this verdict not only for personal reasons (this was really a place where we would have loved to come back) but also because we view it as a missed opportunity in the sense of the very goal of the organisation: convincing people that living a sustainable life is enjoyable and achievable. In our view, association with poor hygiene does not really help that case. The fact that a non-negligible percentage of volunteers turn their heels or shorten their stay here may illustrate this. Nevertheless we had a great time there. 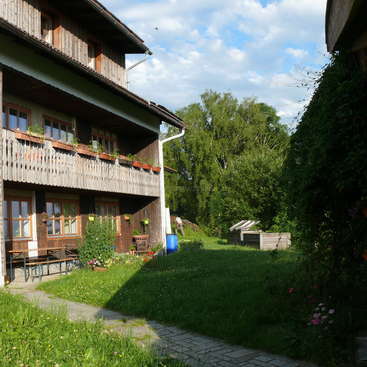 The place is beautifully situated and offers many learning opportunities (self-sufficiency, permaculture, bread baking, natural building techniques etc.). We participated in gardening, transporting wood, cooking on rocket stoves, accompagnying the kids, painting with natural paint, building ovens, preserving food and – of course – cleaning. The hosts are very amicable and full of knowledge and skills. Our children had a very nice time with their children and we all enjoyed being outside most of the time and sleeping in a tent. If it wouldn't be for the above mentioned circumstances we would go back there anytime. This is the place to be! Wonderful, funny, kind people living life in a 'different' way, making or upcycling things instead of buying them new, eating from our own garden, living in balance with nature. And theres a lot to learn here; i had a great time with the rocket stove project, transplanting corn and tomatoes, shearing sheep, learning abt… read more plants like melde, which i had never seen before, working with loam to plaster a wall, discovering the beautiful brakelbos forest, etc. This is one of those places where I just knooow I want to return to someday!! I think its a bout time to leave a review for this great place. Being there inspires me a lot to do things. Thank you for having this beautiful place and making… read more it possible for me to come always and always again. I stayed with Dirk and Ine for about ten days. I learnt how to make bread, pickles, pizza and use some new tools to me. Had delicious and healthy food. Dirk and Ine are friendly and relaxed, their daughters are lovely. You will find your own ways on your stay. The location is peaceful and beautiful. I'd recommended. Best wishes and hope to see you… read more again one day!! A happy place to be! I went here for a couple of weeks and was openly welcomed to Dirk and Ina's home with their wonderful kids. This place and the land around was a great opportunity to learn and see permaculture in motion as a lifestyle from the garden to the way resources and people here are treated with respect and awareness of opportunities.… read more Ina and Dirk have put a lot of positive time and energy into their home to foster growth and peace with the land, animals and people. I was openly shown around the garden by Ina and she was happy to share any knowledge of what I asked her about regarding the garden etc. (and taught me the techniques of Scything which to a young lad like me was an archaic but satisfying way to cut grass once you get the hang of it..) and I enjoyed working in the garden doing simple work but it was an inspiration for a garden I may create at some point in my life. Equally Dirk was great and patient at showing me and fellow volunteers a few things such as teaching the steps to building a wooden shelter for Oollie, their valiant steed! And in building a rocket stove oven out of bricks and a clay/sand mixture dug from out from the land and mixed. Also because they have an Organic farm belonging to a farmer named Dave you might get the chance to help and learn about his way of growing food and you can check out his farm for inspiration. I was also able to take time to read some of their books on various subjects and relax in my own time which was nice. Overall it's great that this place exists and is a living example of how we can live closer with nature together (and with volunteers of varied walks of life, nationality and age) to share knowledge not in vain but of care for each other and the need to look after ourselves and the world with compassion not greed. Lets hope this attitude keeps spreading eh..
stuart was a big help at our project. He was very involved in the project and motivated to help. He's easy to adapt and fast to learn new skills. Thanks for all the help and interesting discussions! This was my first work away experience and I really enjoyed it. I learnt a lot about living sustainably and how to use what's grown on the farm. Making the bread was really fun and smells delicious! Ine showed me… read more how to carve wood and I enjoyed making signs for the compost bins using her tools. There was a few other volunteers there at the same time and it was fun to have so many people around and to all come together for meals and to discuss the day or upcoming projects. We have met so many new nice people from all over the world, and in a short time I felt a really big family ... Ine, Dirk, Hazel, and Siena, thank you very much for all beautiful moments we spent together and all the new things you teached us.. we keep you in our hearts ... thanks thanks thanks, good luck for all. I stayed here for about three weeks and really loved it and my stay was enriched by all the nice people I met and their families. Ine and Dirk are very very nice people and are really easy going and friendly, all work is well communicated and I really enjoyed learning new skills and also learning about some principles I really didn't know anything… read more about and I really feel like I have benefitted a lot from working here. I worked a lot with wood and this is something I enjoyed and wanted to do. 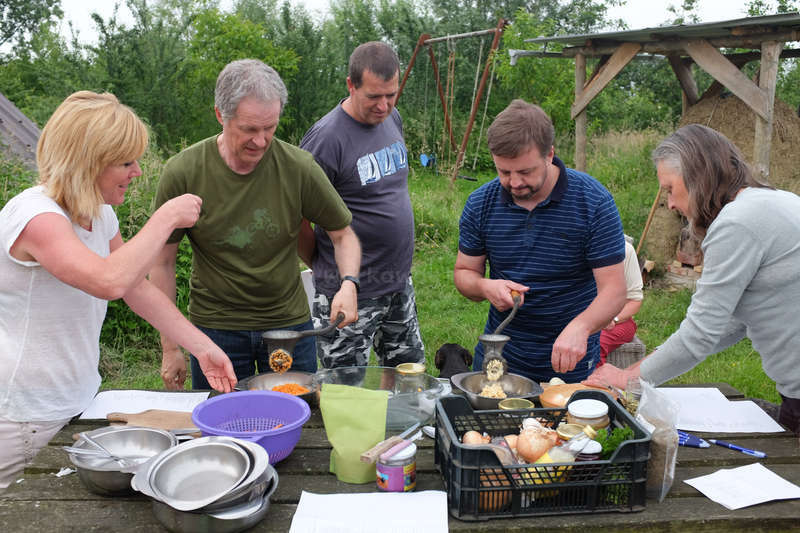 As I said above there are a lot of people who come to the farm and this aspect I especially liked as I met a lot of people and I felt like everything was very social - we worked together and ate together and had lots of good conversation at the dinner tables. I also enjoyed the food as it was so healthy and feel like I have learned a bit more about cooking and cooking healthier meals too which is great. Also the area in which the farm is situated is absolutely beautiful with really nice woods that you can walk in and I really enjoyed these places and you can borrow some of the bikes to go exploring too, which I loved. I spent two fantastic weeks with Ine, Dirk, Hazel, and Sienna and I wish I could have stayed longer! At least two months. I have dreams of returning in the summer months. While I was there in December/January Ine and Dirk were working on renovating a school house. It was a great learning experience, Ine taught me how to use natural building… read more techniques such as loam and cheese/lime paint. In addition to working on the school we made bread, tended to the animals, worked on other small craft projects, and worked on the Christmas Market. The food is excellent and local! I am very appreciative of their dedication to sustainable living down to every last detail. It is very inspiring. It is a very unique and educational project. I would recommend it to anyone that is genuinely interested in learning about sustainable living. I was there during christmas and they generously invited me along with them to their family parties. It was pure magic. They are warm and welcoming and full of energy! I sincerely hope to return one day. Thank you Ine and Dirk, for everything. I loved it here. Dirk and Ine are good people and have a brilliant project, which I highly recommend. As well as many other fun and interesting things. Each morning I'd make myself porridge with oats I rolled myself, milk gotten from a local dairy farm, and berries picked fresh that morning. Lunches are enjoyed with everyone, and are always just delicious. I'd definitely go back again; in fact I hope to visit in summer 2015. Dirk, Ine & family including the co-housers are a fantastic group of people! They are always freely giving their knowledge and showing patience. Thanks so much for teaching me spinning and encouraging me to cook on the massive Wok! Will definitely miss here! This was a wonderful and interesting experience. I managed to see the whole hay bale process during my short stay, and had experience of scything and spinning. I especially enjoyed making bread on Tuesdays and cooking with the other volunteers! Ine and Dirke are very warm and welcoming hosts and I was very sad to leave this beautiful countryside… read more project! I stayed 4 weeks and i enjoyed it. I've learned some new things about preparing meals in eco-friendly way and I tried some dishes I've never eaten before. I enjoyed the most making bread (and all bread-connected activities) and plastering with loam. I also tried for the first time ever how to do scything, spinning wool, chopping wood, carving a… read more wooden spoon... I was very nice. Other activities were also ok, such as planting, weeding, mulching, cleaning, cooking etc. The surrounding area is nice, with a forest, meadow, another forest a little bit further, fields etc. There are some nice spots to find time for yourself around there, so even if it's plenty of people you can easly find silence. But there are also common rooms, so you can easly find company too. We really enjoy the stay of Sissel. She is a handy Girl, learns fast new tasks, does her jobs fast and precise and on top of all that she is very social and takes initiative. We spent 8 days here and it was a very positive experience. We learnt about scything and spent many hours working our way through their fields, we also learned to make and bake bread which we ate together in the evening - yum! Dirk and Ine are very welcoming and interesting people who we enjoyed speaking to and sharing a nice meal with. We also… read more met Ine's parents which was a really enjoyable experience for us also and we felt very welcome. The two girls, Hazel and Sienna are also great and very amusing, if only we understood Dutch!! We loved taking Tinker, their dog for a long walk through the beautiful woods behind their property. We wish them all the best for their project and would like to see the progress one day. I stayed with Ine and Dirk for 5 weeks and i would have stayed longer if it was not one personal interest that drove me away. 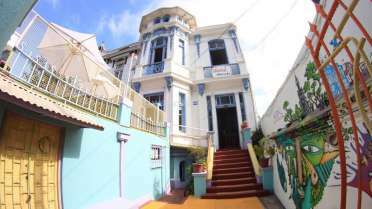 They are very warm, friendly and welcoming, i felt comfortable the very moment i entered their house. The social environment is peaceful and happy, with two joyful girls running around and… read more giving away hugs and smiles. With regards to the work Ine and Dirk and very patient and tolerant toward the volunteers` creative urges, and let me work the type of work that interests me the most. 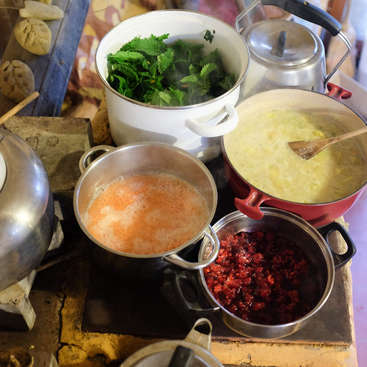 Lodging/food conditions are very good, and you certainly get much more than you will have if you on your own try to live in a sustainable (and/or) self-sufficient way. i wish you the best of luck in future. I stayed with Ine, Dirk, Tom & Marlies (and the children…) for a week, which was a really positive experience. I came after-dark and was greeted by a group of welcoming, smiling hippies, which made me feel immediately welcome. 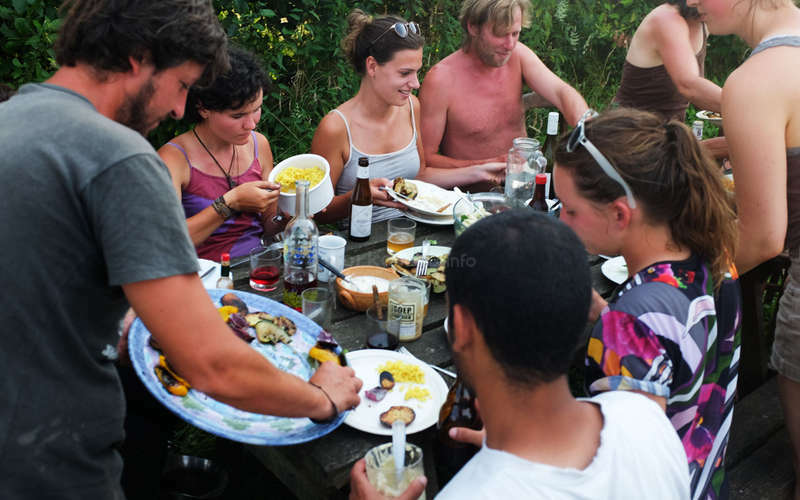 A group of beautiful, interesting people, with good energies and a true interest in permaculture, which live in probably… read more the most beautiful area I've seen yet in Belgium (not flat! (-: ). Work was good and showed that even serious work could be done with an easy-going approach. Thanks again to all of you, I would love to come again, see the project in more developed stages, tons of potential. Help us get on top of things like animal care and the house /gardens in Christchurch, New Zealand.